Baglietto, historic shipyard based in La Spezia owned by the Gavio Group, will be this year the main sponsor of the important events organized by Arena Derthona, a reality active for nine years in the Tortona area born with the aim of promote cultural initiatives giving new impetus to local development. The official opening of the kermesse next April 30th, with the celebration of the International Jazz Day promoted by Unesco and sponsored by: Regione Piemonte, Municipality of Tortona, Fondazione CR Tortona, Fondazione Piemonte dal Vivo, and by MIBACT which will see as a highlight of the day the concert by Fabio Concatoin a jazz key hosted by the Teatro Civico di Tortona. The Festival which has already hosted in the past editions international artists such as Chick Corea, Stefano Bollani, Raphael Gualazzi, Anastacia, Burt Bacharach, Esperanza Spalding, Franco Battiato, Francesco De Gregori, Cesare Cremonini, Nina Zilli, Caparezza, Subsonica, Hiromi , Simon Philliphs, Anthony Jackson - will continue animating the heart of the summer, from 16 to 22 July , proposing a high profile musical and artistic review (whose program is being finalized). Arena Derthona, thanks to the support of Baglietto, strengthens its organizational structure, becoming a broader cultural project to live all year round where art, in all its forms, becomes the preferred means for the creation of a inclusive aggregation space in the territorial landscape in which it is located. 40 years ago, the entrepreneur Winfried Herrmann began building boats in the Franconian town of Giebelstadt in southern Germany. And this in an entirely new manner. He was the first in Germany to introduce a modern assembly line production to boatbuilding: „The days of handmade boats are numbered,“ he said at the time. In much the same way, he had already transformed his original company, the window production company “HeHa” that he ran together with business partner Georg Haubner, from a simple workshop into an industrial type production unit for plastic windows. At the height of commercial success, the two asked themselves what else could be manufactured from plastic. Watersports was booming in those years. GRP had already established itself as the main boatbuilding material, but the majority of boats were made abroad and imported. Here, the two businessmen saw their chance. At the "Interboot" boat show, the completely new "Bavaria" yachts were presented to the public for the first time. Two modern sailing boats, one seven, the other eight meters long. Both had raised foredecks which comparatively gave them a lot of space below deck, completely in the sense of the Bavaria Yachts motto at that time "better living at sea!" But also, the new yacht builders proved themselves to be innovative and, for example, carried out customer surveys on the boat fairs or tried to supply their customers also with suitable marina berths in which to base their new boats. 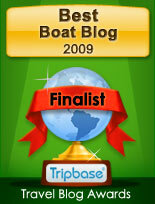 These boats met the contemporary taste but were also always a bit less expensive than the competitors. The boats became more and more developed over the coming years. Bavaria Yachts always employed the services of the best designers and experts and this is true to this day. Current examples of this are the large sailing yachts of the new C-Line that re-define the world of cruising yachts. Or the recently introduced motor yachts that combine luxury and economy. Not to forget the Bavaria catamarans that, with their “Open”-concept, are also setting new standards. Already in 1979, a new 5,000-square metre production facility for the yacht building was inaugurated. At the same time, the designer Axel Monhaupt was appointed as “house designer”. Soon, five boats per week were leaving the assembly line. A lot when compared to traditional yacht-building but not so many as were still to come. In the 1980s, the yacht and charter agent Josef Meltl joined Bavaria Yachts and added valuable market expertise that was also instrumental for the successful entry into the charter market that was to follow very soon. Then, things developed at a fast pace. From 1992 on, JamdJ Design from Slovenia designed the new models. The design team that was still fresh and young at the time had nevertheless already made a name for itself with fast racing yachts. In 2000, Bavaria Yachts successfully launched their first motor-boats. Two years later, the yard was once more enlarged, from then 16,000 to now 71,000 square metres. By now, Bavaria Yachts was building 2,000 boats per year. This was made possible by the sophisticated production. Just as one example: It was agreed with the suppliers that the engines would arrive unpacked, and with the gear-box already bolted on. There was no need to unpack and assemble the engines at the yard, where they were lifted straight into the boats and bolted down in place. In 2014, Bavaria Yachts also entered the multi-hull market with the purchase of the French catamaran manufacturer Nautitech. In 2015, the Bavaria Nautitech 46 Open was launched as the first catamaran newly developed under Bavaria Yachts. The rational production developed by company founder Herrmann still is at the core of the company, but in recent years it has been considerably refined, for example by introducing the state-of-the-art vacuum infusion technology or the modular building of interiors. In this way, more individualized customer wishes can now be realized. Bavaria yachts today have come a long way since the early models: more individual and with much higher demands in terms of design, functionality, comfort and quality. Since 2015, CEO Lutz Henkel is at the helm of Bavaria Yachts. Under his management, the new motor-yachts like the Bavaria R-line were developed and the Italian designer Maurizio Cossutti created the large Bavaria C57 sailing yacht. She was introduced in 2017 as the first of a new generation of cruisers, called C-Line, that now also includes the Bavaria C45, C50 and C65. The very impressive Bavaria Yachts flagship, the Bavaria C65, was presented in January 2018. This anniversary year holds some very special offers for all Bavaria Yachts customers. Beneteau is pleased to announce the appointment of Luc Joëssel, who has joined the Sailing Yacht Product Marketing department. Luc Joëssel joined the Gianguido Girotti team, on 26 March, as Performance Sailing Yacht Product Manager. Luc Joëssel is 45 years old and has 20 years of experience in the nautical industry. Before joining Beneteau, Luc was a pillar of North Sails, in Vannes. In just 15 years, this sailmaker became a centre of excellence in the production of racing sails. Before this, he started his career with the gear suppliers Spinlock, in England. In the year 2000, he joined North Sails and soon became the sails advisor for the Tour de France à la Voile and the Figaro Bénéteau 2 class. He worked alongside champions such as Armel Le Cléac’h, Gildas Morvan and Nicolas Troussel and was instrumental in their success in these races. Then, more recently, he improved his skills in communication, as a European Marketing Manager for two years. “I am delighted to welcome Luc”, said Gianguido Girotti, “his experience and his specialist knowledge of the world of sailing and ocean racing will greatly contribute to the deployment of the new Performance Sailing Yacht lines by Beneteau“. Ferretti Group chose the fascinating city of Dubai as the setting for the 2018 edition of "Convergence", a training event for about a hundred boating professionals from all over the world. The traditional meeting, with professional training and refresher courses that the Ferretti Group dedicates to the captains and chief engineers working on the yachts in its fleet, took place in the pearl of the United Arab Emirates, where tradition meets innovation, from March 3 to 6. The goal of the four-day event was to deepen with the audience technical topics relating to the complexity of use, the maintenance and the functionality of Ferretti Group boats, involving the participants in active debates on current issues of the sector. The classroom sessions, built according to an interactive and engaging format, through the active role of the audience and the use of live surveys, were focused on the following topics:“Yacht Data Integration in Dashboard Electronics IoT and Cybersecurity” with the participation of the main sponsors Team Italia, Naviop-Simrad, Volvo e Rina; “Yacht Painting - Innovation and Maintenance” with the participation of the main sponsors Boero e Rina; “New Regulations on Emissions and Exhausts IMO3” with the participation of the main sponsors MTU, Volvo e Rina. All the panels were moderated by Stefano De Vivo, Chief Commercial Officer of Ferretti Group, and Ferretti Group technicians were involved too, adding further value to the experience of 94 participants. On the second day, after the educational sessions, the guests measured themselves with a dynamic and entertaining treasure hunt set first in Bastakiya, the ancient district of Dubai, then in the Jumeirah mosque, and finally reached the city of Habtoor, opposite at the New Dubai Canal. The grand finale, sponsored by the main partners, took place on the 5th March in the Arabic desert. Participants, divided into teams, fought in 6 different disciplines, from obstacle course to sandboarding, in the Desert VIP Camp. The "Convergence dinner", a magical dinner under the stars and surrounded by the panorama of the Al Awir Desert, sealed the end of the intense wonderful day. The Group’s technical partners took part every day with dedicated corners: H&B technics, Indemar with the Ocean LED and Kenyon brands, Seakeeper e Videoworks. The winning group received their award on the final day and participation certificates were handed out. Formula is pleased to announce it has once again been recognized for excellence in customer satisfaction in NMMA’s 2017 Customer Satisfaction Index program in the categories of: Sterndrive Bowrider and Sterndrive Cuddy and Express. Great job, Formula! The Marine Industry CSI Awards program honors participating manufacturers that actively measure customer satisfaction and pursue continuous improvement to better serve the customer. Award recipients have achieved and maintained an independently-measured standard of excellence of 90 percent or higher in customer satisfaction over the past year, based on information provided by customers purchasing a new boat or engine. Gulf Craft, UAE's pioneering yacht and boat builder, continued its winning performance at the region’s most influential boat show with the sale of 5 yachts and boats from across the range. Having achieved total sales worth 85 million dirhams (USD $23m) during the 5-day international show, Gulf Craft foresees greater sales momentum in the coming months. "Despite the challenges brought upon by new regulations and taxes that were implemented on the manufacturing industry, Gulf Craft has managed to create its own space to grow by delivering unprecedented quality." said Notis Menelaou, Vice President of Sales at Gulf Craft. "We not only continue to invest greatly in research and development, but also gain a lot from our thirty-six years of experience. Every time we move in a new direction, we keep our customer's requirements at the forefront. This astute approach helps us to develop premium crafts that are trend-setting." It was a moment of great pride when H.H. Sheikh Mohammed bin Rashid Al Maktoum, Vice President and Prime Minister of the UAE and Ruler of Dubai visited the Gulf Craft stand, in recognition of maritime excellence made in UAE. Bolstering its impressive presence as the largest exhibitor at this year's edition of the Dubai International Boat Show, Gulf Craft welcomed fifty-five of its worldwide dealers to be part of the exciting happenings. The 3 global premieres that Gulf Craft introduced to the market proved to be a resounding success at the show. The tri-deck Majesty 140 superyacht, the owner-manageable Majesty 62 family yacht and the limousine Touring 48 vessel. While the Majesty 140 generated a lot of buzz at the show with its striking revolutionary design and stunning exterior lines as well as opulent interior, the elegantly styled Majesty 62 attracted the attention of yachting enthusiasts who enjoy cruising with friends and family, as the new high-tech yet user-friendly yacht can be handled by its owner without the need for extra crew. Gulf Craft's yachts and boats evoked the interest of customers from the Gulf region, Europe, Russia, Australia to South East Asia and it received many sales leads for the yachts on display, especially the award-winning Majesty 100. Boasting an unparalleled range stretching from the Oryx 27 sport cruiser to the Majesty 175 megayacht, yacht and boat manufacturer Gulf Craft has the widest product range under one roof. Another key factor that sets Gulf Craft apart from other manufacturers is the way it adheres to the changing strict regulations globally, which many major shipyards cannot match, thereby gaining the competitive edge. For the first time in history Dubai International Boat Show was set against the spectacular backdrop of the newest leisure marine destination in the UAE, the Dubai Canal. The event attracted over 26,000 visitors from 151 nationalities, highlighting its international standing. The highly successful show was graced by the presence of Sheikhs, members of royal families, prominent VVIPs and high-net worth individuals. Pacific Asian Enterprises, Inc. is pleased to announce the celebration of its 40th anniversary as a company. To mark the occasion, PAE will be holding a 40th Anniversary Gala and Nordhavn Rendezvous the weekend of April 27-29 at its world headquarters in Dana Point, CA. 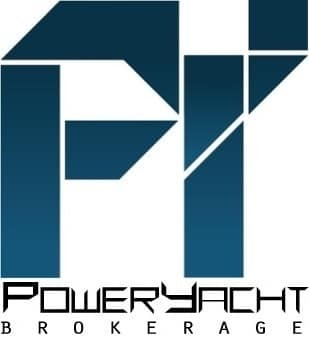 Approximately 175 guests made up of current and new Nordhavn owners, past owners, staff from PAE and its partner factories as well as distinguished guests are expected to attend. We are proud to be able to mark this occasion with the people who have helped shape our company’s identity and success. Delicious food, entertainment, educational seminars and an open house will round out the weekend event. As part of the celebration, PAE is pleased to partner with our charity, the Ocean Institute, a non-profit dedicated to ocean conservancy and marine education. All proceeds collected from multiple raffles will go to the Ocean Institute. In addition to the lectures and parties that will be going on, we’re excited to once again feature a Vendors Exhibit. A tremendous success at our last Rendezvous, the Vendors Exhibit gives key vendors -whose products PAE and Nordhavn owners have come to rely on - the chance to discuss what’s new in their product catalog as well as answer customers’ questions. “Four decades ago, a trio of 20-somethings with a love for cruising-style boats, came together to form Pacific Asian Enterprises, a company that would have a historical impact on the world of ocean-crossing sail and power boats,” said PAE Marketing Director Jennifer Stern. “Today, PAE is stronger and more influential than ever thanks to the continually groundbreaking Nordhavn brand and the accomplishments of Nordhavn owners. It is with extreme pride and gratification that we are able to commemorate this milestone.” The 40th Anniversary Gala/Rendezvous will be PAE’s most spectacular event to date. We are extremely grateful to our sponsors who are supporting our endeavor: Imtra, Cascade Engine, ABT-TRAC, Outbound Yacht Services, Northern-Lights, Marina Coral, Aegis/MMI Marine, AdvanTed Marine, Dometic, Headhunter, Pantaenius USA, Cummins, Quinn/Caterpillar, Performance Marine, Cross Chartering, Palmer Johnson Power Systems, Prime Fabrication, Alcom Marine Electronics, Jeddy’s Interior/Upholstery, The Mary Conlin Co., Trident Funding, Robert E Landweer, Talkspot, West Marine Pro, Wheelhouse Technologies, and Ocean Marine Nav Inc.
Economic conditions in the USA under the Trump regime are proving positive for the boating industry with strong enquiry at the recent Miami International Boat Show, according to Australia's iconic luxury cruiser manufacturer, Maritimo. Maritimo sent a team of executives to the recent Miami show and its four-boat display attracted strong interest with several sales under negotiation. Maritimo's International Sales and Marketing Manager, Greg Haines, said the overall atmosphere and feel at the show was very positive and he expected this to continue to flow through at the Palm Beach International Boat Show starting on March 22. "Numbers were up in Miami, but more importantly the people who were there were strong prospects and deals will definitely come from the show," he said. "Our S51 and M51 models were a hit with the Miami attendees and our USA based dealer partner, Galati Yacht Sales, is currently finalising negotiations with several expected purchasers." Haines said on the business front the Trump initiated tax cuts were having a positive impact and 'people were spending'. Maritimo will have three boats on display at Palm Beach, the M and S51's and an M54. The Palm Beach International Boat Show is in its 32nd year and will see more than $1.2 billion dollars worth of vessels ranging from eight feet to more than 150 feet displayed. It is one of the three largest on water boat shows in the world. 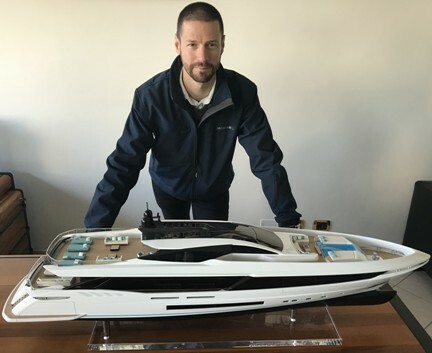 "We have struck on a winner with the M and S51 models as they are appealing to the boarder overall market being not too big and not too small so easy for a boating couple of own and operate," he said. "The full beam master suites add the wow factor and then the day to day maintenance and operational benefits of low angle shaft drives with diesel power and walk around decks complete the package. "We were also getting very positive feedback on the standard of our fit outs and finishes and the overall build quality. " Being Australian and having a reputation for taming tough cruising conditions adds to Maritimo's appeal with Americans." Maritimo has recently expanded its Gold Coast based manufacturing plant to cater for increased production and expects a large portion of its overall annual build to be exported to the USA. Haines said the next big litmus test for the health of the Australian market would be the Sanctuary Cove International Boat Show in May. Overmarine Group welcomes the experience and know-how brought to the Company by Ivan Adzic. The new Area Manager for France will bring to Mangusta the extensive experience he has accrued working for some of the most prestigious shipyards in Italy, along with excellent knowledge of the international market and in particular of the French one. “We are proud to announce that Ivan is joining the Mangusta team - says Francesco Frediani, Commercial Director of Overmarine Group - For more than 50 years, the Balducci family has always been ready to face the challenges and to use all the passion needed to overcome them. It is from one of such challenges that the Overmarine Group was born and built the reputation of the Mangusta brand all over the world. Ivan's contribution will give an excellent boost to the promotion of the Company's values in France. The values of engineering, design, finishing quality together with the ability to interpret at its best the wish of Owner. 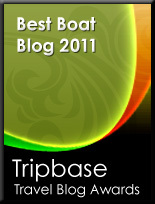 The values that allowed us to acquire significant role even in the competitive market of displacement vessels in metal." Ivan Adzic shares the same listening values, the same understanding of the needs and support to be provided to the Client, which have always been the central focus of Mangusta's approach to the market. Among the primary objectives of his role, there is the expansion of the awareness of the brand and of the new product lines in the French market. The new Area Manager will also coordinate the representative office of the Group at Golfe Juan, in Cote d'Azur. It is one of the reference markets for Mangusta, as demonstrated by the several units present in the most exclusive ports of the region. EXXpedition North Pacific 2018 is a pioneering all-female sailing expedition and scientific research mission starting in Hawaii on 23rd June and ending in Seattle via Vancouver this summer led by British skipper and ocean advocate Emily Penn. They will sail the North Pacific Gyre on a pioneering journey to investigate the crisis of plastics in our oceans with a focus on micro-plastics and links to environmental and human health, eXXpedition North Pacific 2018 aims to make the unseen, seen. "I am really pleased to confirm Princess' commitment to pushing for change in the consumption of plastics, and to limit the impact we have as the world's leading luxury yacht manufacturer in this regard. At all of our events we will stamp out the use of plastic straws, bags and wrappers, and we are now committed to bring about the same change within our global network. We will be asking all of our global distribution and dealer points, which exceeds 100 offices globally, to be following our lead over the coming months. We are delighted to be sponsoring eXXpedition, and wish the team a successful voyage. The Princess community, both professionally as well as personally, are united in seeing the ladies tackle toxicants via education and research, to bring about significant change in how mankind behaves going forward, and we will follow their journey closely." Kiran Haslam, Marketing Director, Princess Yachts Limited. The expedition aims to: raise awareness of the devastating impact of single-use plastic and toxics in the world's oceans; celebrate women in science, leadership and adventure; create a community of female change-makers and inspiring global ambassadors to tackle the environmental and health impacts of plastic pollution; and champion and contribute to innovative scientific research to tackle the crisis. eXXpedition, the British Community Interest Company behind North Pacific 2018, specialises in all-women sailing expeditions. This is their 10th eXXpedition voyage and the first in the North Pacific Gyre. It has the endorsement and support of the UN Environment Clean Seas initiative and Ocean Wise. During the month long voyage, the crew will make daily trawls for plastics and pollutants, and collect data for a variety of global datasets and scientific research studies. The eXXpedition crew is made up of scientists, students, artists, filmmakers, business women, psychologists, actors, ocean activists and sustainability professionals, and novice as well as experienced sailors. In addition to this project, Princess are delighted to continue their support for the ground-breaking work carried out by the Marine Conservation Society of which a campaign to reduce plastic waste is a top priority. According to the Marine Conservation Society, a study produced by the Ellen MacArthur Foundation produced some truly disturbing conclusions: the equivalent of one entire truck of plastic (8 tonnes) is dumped in the sea every minute and, if we don't change things, by 2050 there could be more plastic than fish (by weight) in the sea. The ongoing collaboration sees the two brands working closely together on a series of initiatives to help safeguard both UK waters and specific projects across the world, raising money for essential conservation work and driving awareness amongst Princess customers on the importance of protecting their playground. Pursuit Boats was honored to receive Runner Up for Manufacturer of the Year by the South Florida Manufacturing Association. Each year SFMA celebrates business excellence by recognizing both individuals and companies demonstrating superior manufacturing techniques. Pursuit Boats was nominated by the St. Lucie County EDC and was among 83 nominees considered for an award in South Florida. Eighteen finalists were chosen in four categories. Companies must be nominated for the Manufacturer of the Year award which is organized by categories determined by the number of employees in the workforce. The evaluation process consists of an initial phone interview, followed by a site visit if the company advances to the Semi-Final round. During the site visit, the examination team will tour, observe, and ask questions related to the 2018 evaluation criteria. “Pursuit has earned a reputation among marine manufacturers for delivering one of the highest quality products on the market. We appreciate the hard work and dedication of our employees that make that happen. It is a great honor to compete with and share the podium with manufacturers of different products; we strive to be a world class manufacturer,” Bruce Thompson, President, Pursuit Boats. Following the successful Miami debut of the new SX88 crossover yacht specifically tailored for the Americas, Palm Beach Boat Show 2018 was the perfect occasion to present the new Sanlorenzo Americas team. The American Representative that, through a direct presence, has been able to strengthen the brand image in North and South America in the past 10 years, announces the appointment of Marco Segato as new Vice President of Sales of Sanlorenzo Americas. Thanks to the important roles played in strategic consulting and business development, and to his long-standing experience in the boat industry, Segato represents the right person to strengthen and enhance the objectives that Sanlorenzo Americas achieved, aiming to new ambitious results. “I am proud to be representing Sanlorenzo in a strategic market like the Americas, reinforcing and further valuing a leadership devoted to product and style innovation, outstanding client service and unique ability to perceive and meet the specificities of this market. Sanlorenzo is broadening the range of products, and consequently the potential client base: the focus now is in expanding our sales network of the Americas brand representatives and dealers”. This appointment marks a precise route of the company, which aim is to furtherly strengthen its position in the market. Following the departure of George Jousma, who successfully drove the sales growth and reputation for the brand over the past decade in North and South Americas, Sanlorenzo will leverage the collaboration with the Jousma family having his son, Boomer Jousma, continue in his current role, as well as now head up the strategy for Sanlorenzo in the Northeast US, with a dedicated team focused on one of the most prestigious and affluent markets in the world. 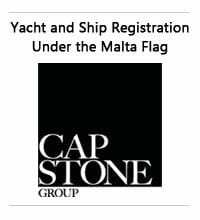 Sanlorenzo Americas will continue the brand objectives through its already established network in Canada, California, Mexico, Panama, Venezuela, and Peru, where an essential role in the accomplishment of important events have been achieved during the last year including a sale of 50 new yachts totalling over 300 million Euro have been sold throughout the world in 2017. Sanlorenzo once again confirms itself to be a leading player in the nautical sector. A true excellence in the nautical world, Sanlorenzo has experienced, throughout the 2000s, a steady growth that has allowed it to climb the world rankings positioning itself in the top places for the production of yachts over 24 meters. Data from 2017 confirm this positive trend, registering the sale of 6 superyachts and 41 yachts (+30% compared with data from 2016). Sanlorenzo’ s unique approach, aimed at a continuous search for unique and innovative solutions, has allowed it to achieve important results, shown by the success of the new yacht crossover SX88 with sales volume amounting today to a total of 13 units, the third of which has been launched in these days. A significant result less than one year after the official presentation of the line, which took place on the occasion of Cannes Yachting Festival 2017. April 1 marks the 54th Anniversary of the Viking Yacht Company. On this date in 1964 co-founders and brothers Bill and Bob Healey opened the doors of the Viking Yacht Company. While it was not easy in the early days crafting boats from wood, the Healey brothers were eager for the challenge and in it for the long haul. Today Viking is the world's number one builder of boats ranging from 37 to 93 feet. With almost 5,000 Vikings built over the past 54 years, there are legions of stories about the boats, the people who built them and the people who own them, and the memories will continue as we begin the next chapters of Viking excellence. With a full order book, a recently introduced 68 Convertible and more new models waiting in the wings, Viking is enjoying the view from the top of the mountain where it plans to stay. While Bill and Bob are still regular fixtures at the New Gretna, New Jersey, facility, Bill's son Patrick is the President and CEO leading the charge. Pat's counterpart is Bob's son Bob Jr., who runs Viking Associates which is the commercial real estate and investment side of the businesses. A tradition unlike any other, the Viking Yacht Company is proud of our Master's Program. We are pleased to tout the strongest dealer network in the world and in order to maintain it, we are committed to invest in our authorized dealers. Throughout the year our dealer principals and sales representatives are invited to our New Jersey manufacturing facility. They are encouraged to spend a few days with us onsite for interactive, hands-on training. Viking's Sales Department hosts this Master's Program and takes the teams through the build process, discusses new technology and demonstrates features unique to our product. It's also a great opportunity to receive feedback on our boats so we can continue to build a better boat every day. The team from Bluewater Yacht Sales was here earlier this week and had a fantastic visit. Dale Creamer schooled the fleet! Congratulations on your 2nd win at The Masters! Dale won his first Master Angler Championship in 2015 and just did it again while fishing the event in Costa Rica. The Masters is a unique tournament that pits the top anglers against each other while embracing a historic past dating back to 1963. It was John Rybovich's dream of a contest that levels the playing field and crowns an angler for his ability to hook, catch and release an Atlantic Sailfish, not how well his boat and crew performs. This event rewards anglers for catching these fish quickly and penalizes them for pulling too hard and breaking lines. In short, The Masters tests an angler's skill, and only an angler's skill, the true test of a champion. Shown above is the 2017 Champion, Carmine Galati, presenting the trophy to Dale with Masters Chairman Sam Peters joining the celebration. "It's a chance to be part of the best," says Event Host, and legendary football coach Jimmy Johnson. And the Viking 60 Sea Hawk certainly was! Battling it out amongst a fleet of 76 boats, Captain Marcos Zamudio put his anglers on the fish and landed in 3rd place overall on the leaderboard with 10 sailfish. Scott Burke was the Top Male Angler with five releases. Over 600 flu shots were distributed to Viking Yacht Company employees this season. Viking's Medical Department is focused on the health and well being of every employee, as each is an integral part of the boat building team. Flu shots are just one aspect of Viking's proactive healthcare and wellness initiatives for employees that were started over thirty years ago. Routine mammography and ultrasound screening have long been provided along with internal medicine, nutritional counseling, optometry and mental health services onsite. In today's busy world many people don't have the time to squeeze in appointments, so Viking makes it easy for employees. The new Mullica facility is now mirroring the original New Gretna site with their strides in health as a first priority. The Medical Department's next step is Electronic Medical Records which will allow the team to efficiently track data over time, monitor parameters, and improve overall quality of care. Shown above is part of the New Gretna Medical Team - from left Sean McCall, Billeny Padula, Carol Langdon and Steve Marks. Held between 22 and 25 March, the annual Van der Valk Experience Event was a great success. Ther state-of-the-art yachtbuilding facilities in Waalwijk (NL) welcomed hundreds of guests and visitors over the four days, beating the record numbers seen last year. Many people said how impressed they were with the brand-new 42-meter construction hall, which was looking great for the occasion. There was good food and music for all, while a number of new and potential clients took the chance to have personal meetings with designers Guido de Groot and Cor de Rover and naval architect Jaron Ginton to explore possible future builds. However, as is always the case at the Experience Event, the true stars were undoubtedly the various yachts we had on display. Visitors clearly enjoyed having the chance to see at first hand no less than nine Van der Valk boars at various stages of construction. Highlights included a brand new 32-metre Raised Pilothouse as well as the first two hulls in the innovative new BeachClub line. The BeachClub boats offer an unprecedented amount of space indoors and out, and are sure to make a great impression at next years’ Experience Event when completed.